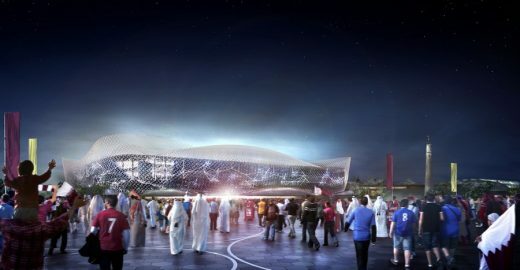 Al Rayyan Stadium and Precinct, which will be built on the site of Ahmed Bin Ali Stadium, are designed to showcase Qatar’s culture. 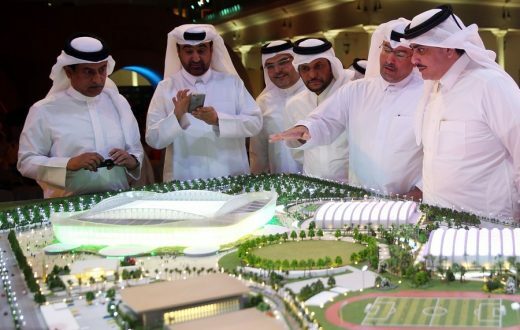 The Supreme Committee for Delivery & Legacy (SC) will deliver the new, 40,000-seat Al Rayyan Stadium, which is a proposed venue for the 2022 FIFA World Cup Qatar. 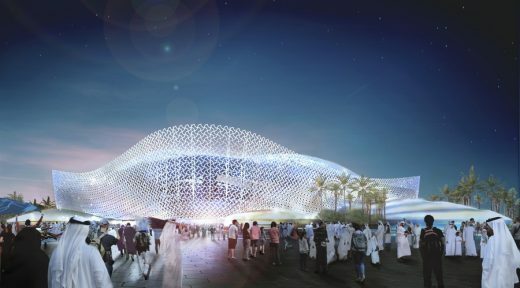 AECOM is the stadium’s project manager, while the design work is being undertaken by Ramboll and Pattern Design. 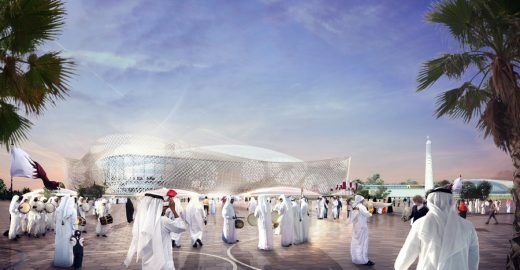 The façade of Al Rayyan Stadium is formed from seven patterns, representing different aspects of Qatari culture. The patterns blend together seamlessly to tell the story of the nation. They are based on highly abstracted shapes, which echo decorative motifs found in Islamic architecture. The patterns represent the importance of family in Qatari culture, the austere beauty of the desert and the flora and fauna that thrive there, and the local and international trade which has been a mainstay of Qatar’s economy for centuries. A shield pattern, which weaves together all of the others, represents loyalty, unity and perseverance – key elements of any successful football team. 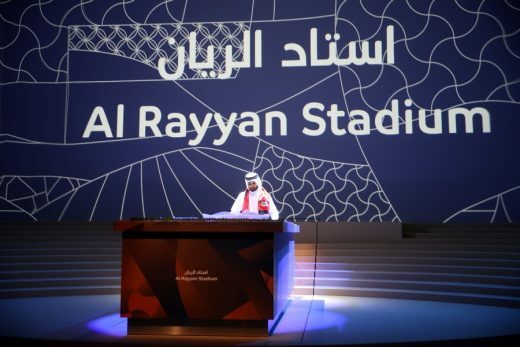 Al Rayyan’s desert ambiance will be honoured further in structures that will dot the stadium grounds. Resembling sand dunes, these structures will house hospitality areas, concessions and other services. 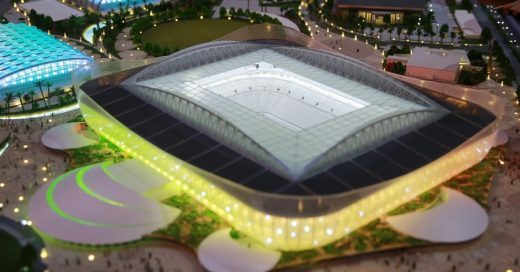 The precinct surrounding Al Rayyan Stadium will include a vast range of facilities, including a mosque, aquatics centre, athletics track, cricket pitch, tennis courts and hockey pitch. Floodlights and cooling will allow for the use of football training pitches all year round, day and night. 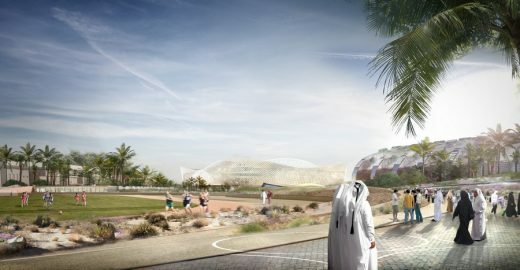 Shaded walkways will wind their way through the landscaped grounds, which will also feature a skate park, cycling track, running track and outdoor fitness equipment. A new branch of Aspetar, the region’s premier sports medicine facility and a FIFA Medical Centre of Excellence, will also be built in the precinct. 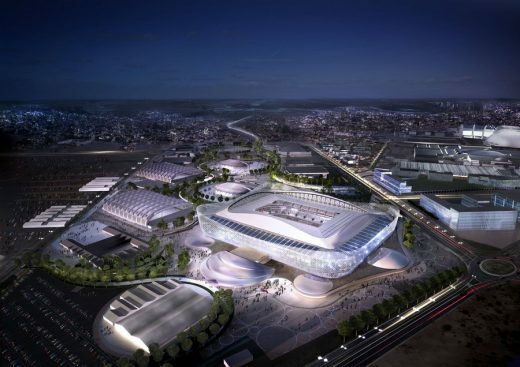 Sustainability sits at the heart of Al Rayyan Stadium and Precinct. The innovative, energy-efficient cooling technology being developed by the SC will guarantee the comfort of fans and players. Renewable energy will be generated within the precinct, actively minimising the stadium’s carbon footprint. A further reduction will be achieved through lightweight building design, the careful selection of materials and the implementation of energy and water efficiency measures. 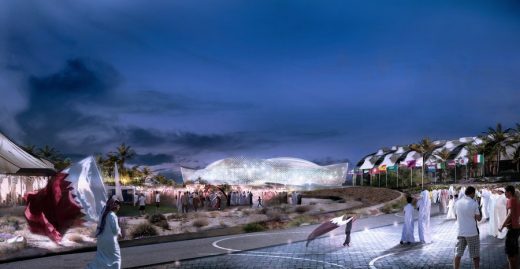 Materials from the deconstructed Ahmed Bin Ali Stadium will be recycled for use throughout the precinct, with some also reserved to develop public art installations. 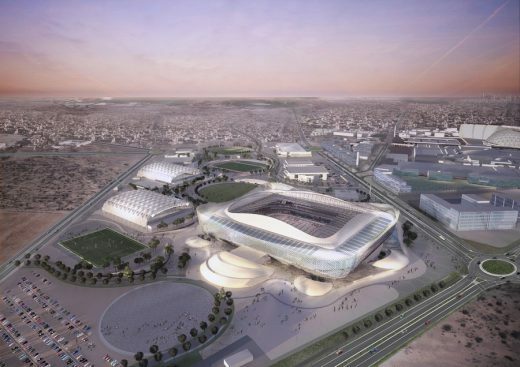 Finally, a new metro link will ensure that fans and the community have an easy and environmentally friendly way of accessing Al Rayyan Stadium and Precinct, in 2022 and for decades to come. 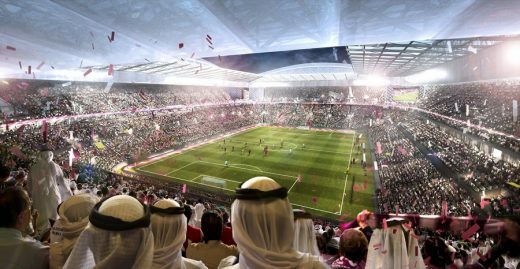 Following the 2022 FIFA World Cup Qatar, the seating capacity of Al Rayyan Stadium will be reduced to approximately 21,000. The stadium’s modular upper tier will be donated to nations in need of sporting infrastructure, immediately creating a legacy of football development. 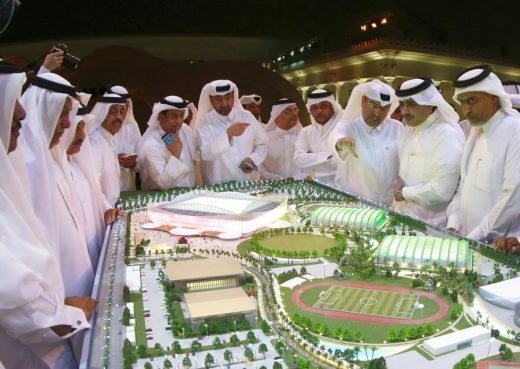 The downscaled stadium will become the new home of Al Rayyan Sports Club, which has historically been one of Qatar’s most popular and successful football teams. In its early days, the team that became Al Rayyan Sports Club was funded by fans from the surrounding area. 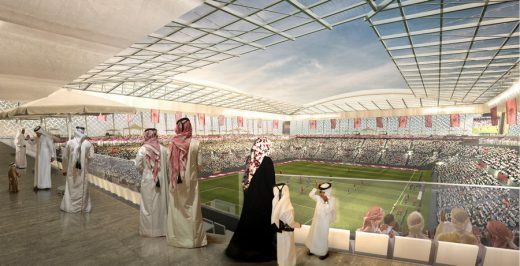 Those same fans, their children and the wider community in Qatar will benefit from Al Rayyan Stadium and Precinct for generations to come, in line with the SC’s commitment to building a better future for Qatar and its people.